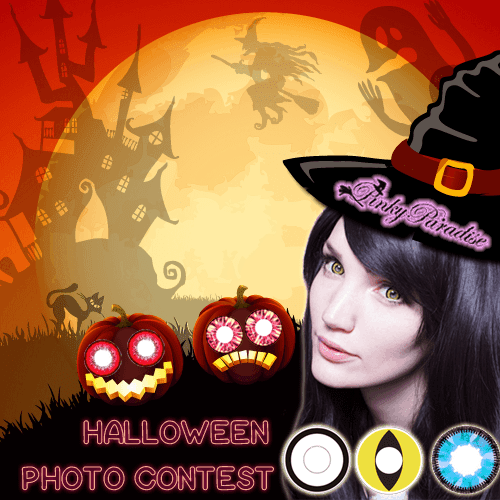 Let's celebrate Halloween by joining our Halloween photo contest today and walk away a FREE pair of circle lenses! 1) Snap your Best Halloween look with our circle lenses on! 2) Share it on PinkyParadise Facebook wall. 3) MUST write [Halloween Photo Contest] as title. 4) Write a short caption in NOT more than 25 words to describe your Halloween look (reasons, review, colors or anything you want to share with PP fans). 5) Invite your friends to "LIKE" your photos. Photo with the most "LIKE" will be the winner of our Halloween photo contest! *Prize: one (1) pair of circle lens at your choice. *Only One entry per person. *Contest Period: 31 Oct - 4 Nov 2013.